Last text notification was sent yesterday at 2:04pm, I have 19 pictures uploaded since that time. Is there something going on with the notifications? I've been waiting for an answer on this question as well. It seems that for the last several days the text messaging notifications have been sporadic. Worst part is I have one of my camera's watching for trespassers so that we can catch them and we had 2 people come on and apparently hunt but because I didn't get the notification I never knew. It is frustrating to say the least. Not sure if the mobile patch they just did is the culprit or not. We're looking into the oddities around notifications. Sorry for any inconvenience it's been causing but we are definitely looking into the issue to get any problems sorted out. I am have the same problem and I have checked and re-saved settings from both the website and cell app. My pictures are getting uploaded like clock work but SMS notifications are almost mute. I get a SMS notification about once a day and I've seen settings change for no reason, like the info strip setting being off and I set it back on again and the next upload it on again. This is getting crazy!! PLEASE "like" this post if you are having problems too!! I finally got text notification today for 17 pictures and now the app starts acting up! I log in and then it logs me back out! Update. I finally started to recieve texts messages again yesterday. So far it appears to be working again for me. I'll keep u posted. I have the download interval set at 2 times a day at 10 am and 10 pm. The modem skipped the download at 10pm on Oct. 12. The next download at 10 AM on Oct. 13 included the photos skipped before and the ones during the night and early morning. I have not had any photos downloaded or text message notifications since obviously because no photos have downloaded to the website. There are no new photos on the website. I have set the modem to time lapse as of 7 PM tonight with a 10 minute interval and also motion detection until 8 PM. I am not hopeful at this point. I am running a 888 camera with the modem. Last battery strength was 84% and last signal was 19 and it has sent photos with this reading in past. I will post later tonight whether I receive any photos from the time lapse. Software shows 1.5 on website. The motion detect only works outside the time lapse window. The time lapse should start after you save the setting, and at the next communication, either by motion or 25 hours. The signal may not have been good enough and dropped the upload until the next check in. Good luck with it. All good Moultrie_Ninjaneer ! Thanks for your quick assistance! I received photos this morning 10/15 at 6:35 AM. I received 4 time lapse photos which makes sense since I started time lapse for 6 AM at a 10 minute interval. I did get a notification shortly there after. This was the first notification in several days.The last communication still shows to be 10/13/2016 10:05 AM CDT on the website. I also had requested a previous photo in high resolution and only received about 1/3 of the photo. I am assuming that I am right on the edge of reception for the modem. I have reset the camera to motion detect only and to receive 2 times a day. It previously was motion detect + time lapse and to send immediately. If the signal is weak would I do better to send immediately or 2 times a day to get the photos? The batteries have been in the modem almost 1 month and show 84% strength. Should I change batteries to improve reception? Thank you donejones for your previous response. This camera is an hour from home in a remote area. One of the reasons I went with this system is to not disturb the area once the camera was set. @thelethal1 I'm thinking that you've got a hi-res image request clogging the thing up. It looks like everything was running smoothly and then you requested a hi-res, which it sent the other day, but it looks like the signal dropped out so the modem isn't aware that it sent successfully. My best guess is that now the modem keeps trying to send the hi-res and the server is rejecting it; this is causing some confusion on the modem's part and it's causing the transmission to error out before it sends the final "This transmission was a success" message (which updates your last activity). I'll see if I can flush out the hi-res image requests and hopefully that will help the issue. Thank you Ninjaneer. I will not request any other hi-res. and will just pull it off the card when I go to the camera. It was a hog that looked like a bear (which are rare) in my area. I was going to use the photo to mess with my grandsons and tell them we were going bear hunting to get them even more excited about going with us. I have set the camera back to 2 times daily and motion detect only. I am going over there today but had planned to not disturb the area where the camera is set as season opens in a couple of weeks. If there is anything I need to do actually with the camera/modem in field, then please let me know within the next hour. As I lose reception on my primary cell carrier (ATT) before I get to the lease and will not see the message. I appreciate the help - you are awesome brother. @thelethal1 One thing you could do is replace and/or format the SD card while you're at the camera. That would get the pictures out of the system (I won't be able to flush them out until later) and hopefully get everything working again. You can still request hi-res pictures though, I think in this instance you just managed to get into a relatively rare set of circumstances. Still, it shouldn't have mucked things up like it did so it's something i'm going to be digging into (and with any luck, fixing) so that it can't ever happen again to anyone, even if the stars are aligning just right. Just got back from the lease. 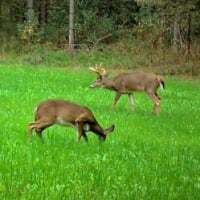 I have two really nice bucks working a feeder near the one that the Moultrie Modem/M888 is on. I chose not to disturb that particular area. The forum will not allow me to attach the hi-res photo but it is only about 1/4 filled in starting at top of pic with the remaining a gray grid pattern. This was my second attempt to download this photo in hi-res. I never received any photo the first time I attempted to download this photo in hi-res. If I format the SD card through the website "Camera- Dashboard", will it do what you are speaking of in the prior message? Yes, formatting through the website should have the same effect. I assume I leave format SD box checked until I see the date and time change for last contact with the modem? Then I can uncheck? @thelethal1 It will actually clear itself once it formats. It never updated and there were some photos waiting. I went back to lease this morning, changed the batteries, pulled the SD card and copied to my laptop. I then formatted the card in camera and reset options on camera. All seems to be working now as I'm getting photos on website and also notifications. I appreciate your time Ninjaneer. I hope all stays stable now. Really need to stay far away from the camera at this point. Just an update. I received the photos last night at normal time and again this morning at normal time. I'm not sure that the camera ever would have formatted the sd card via remote as the modem did not communicate for over 25 hours. Returning to the modem/camera in field and formatting on site seems to have cured all ills. Again, I appreciate your expertise Ninja. You make Moultrie look good.